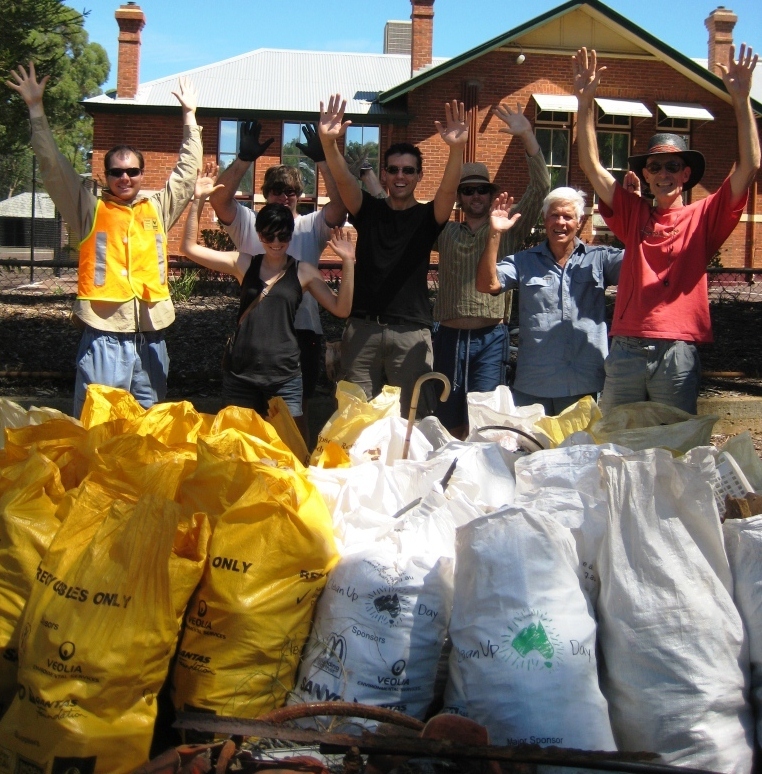 Over 40 people came on the 4th of March for Transition Town Guildford’s second Clean Up Australia Day. Many hands make light work, and it was a massive success. We managed to collect 24 bags of rubbish & 18 bags of recyclables! Not to mention the numerous oddities as well, such as road cones, bike tires, a number plate, a sewing mannequin and even a NZ passport! While it was a good sign that there weren’t so many large bulky items as last year, there was still plenty of rubbish to collect. However, it was disappointing to see how much recyclable material there was. Several people brought up the solution of a container deposit. The Conservation Council has an ongoing campaign to introduce a 10 c refund, copying the successful model from South Australia (you can support it here). Thanks to everyone who came and took part, especially all the kids from Guildford Primary. 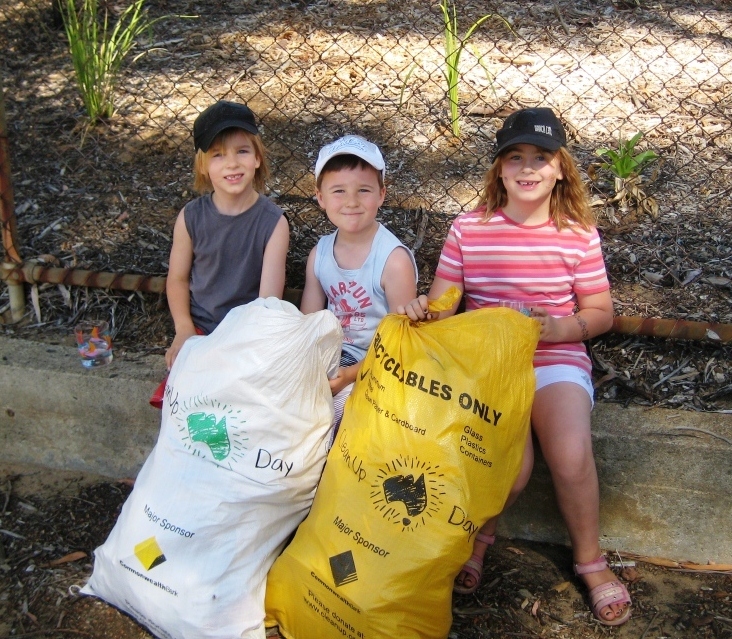 This entry was posted in Event, Waste & Recycling and tagged Clean up Australia day, Conservation Council, Guildford Primary, Recycling refund scheme. Bookmark the permalink. CLEAN-UP-DAY is a great practice, even better when refunding soft drink bottles comes to the rest of OZ. I managed quarter bag of recyle stuff mainly cool drink and beer bottles. A full bag of anything from lollie wrappers to polystyrene pieces and those nasty plastic shopping bags. Enjoyed the journey and visiting the Helena River and its birdlife. Impressive effort! Well done team!